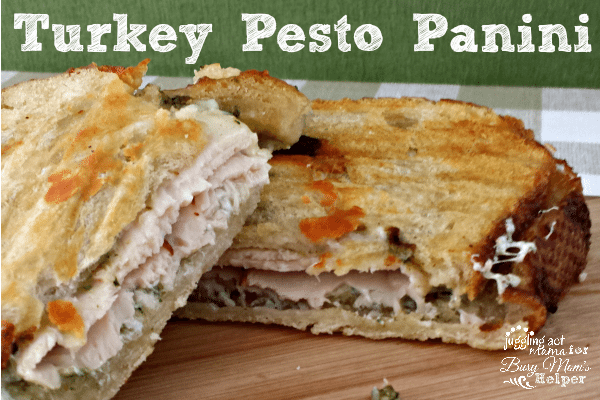 This Turkey Pesto Panini Sandwich is one of my all-time favorite sandwiches to make. 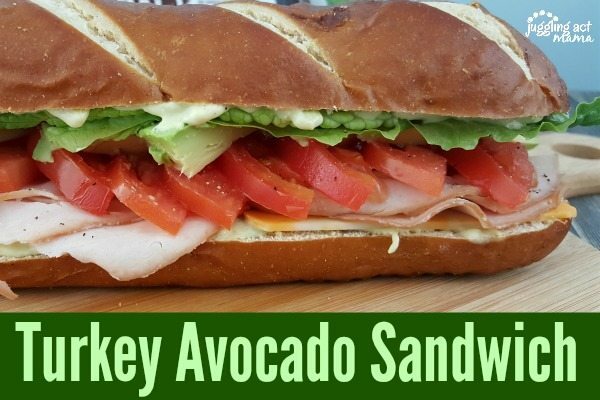 It’s full of great flavor, and super easy to make! A panini sandwich beats a plain one any day of the week, in my book. 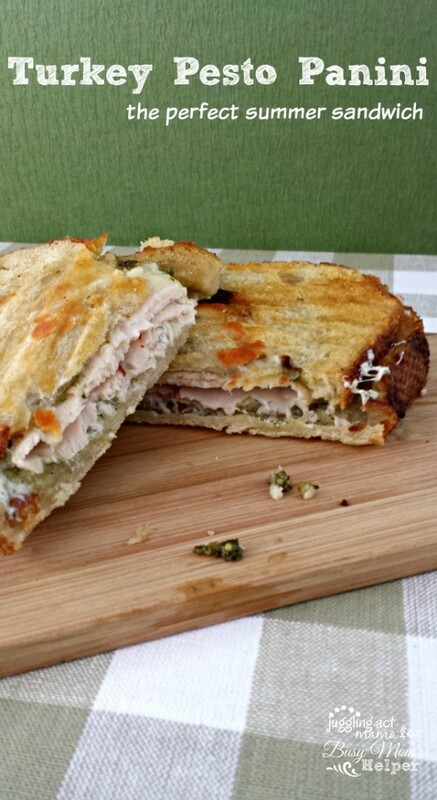 But this Turkey Pesto Panini is the perfect summer sandwich. 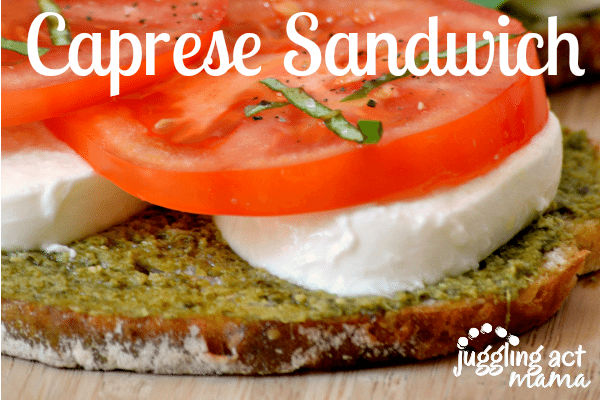 It’s a little nutty and salty from the pesto and cheese. And the delicious carmelization on the bread is heavenly. You’re going to love, love, love this recipe – trust me! A great sandwich starts with great ingredients. I just adore making my own basil pesto at home. In the summer, when we grow our own basil, I almost always have a jar in the refrigerator. You can get my favorite recipe for Basil Pesto here. 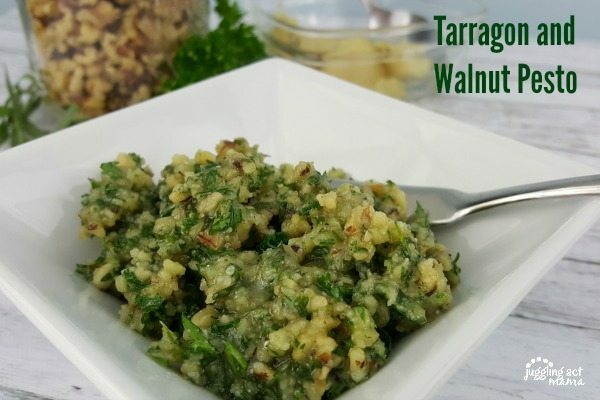 You could also try my Tarragon Walnut Pesto for something different. You can use a store-bought pesto, but in my humble opinion, it’s just not the same as homemade. 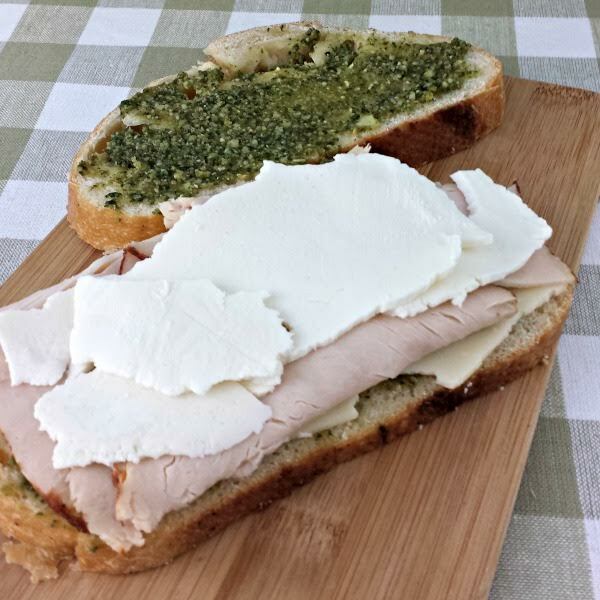 As for the other ingredients, I enjoy fresh mozzarella and a slow roasted turkey. You can get the turkey from the deli, but leftovers from a roasted turkey is phenomenal. This is one of those cases where quality ingredients make a big difference in the sandwich itself. Looks delicious! Thanks for linking up at our Tips & Tricks Link Party!